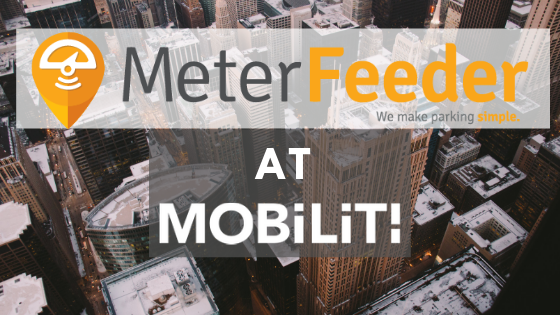 ‍Meter Feeder Attends Mobiliti Future City Summit In Pittsburgh. Pittsburgh (PA) - Meter Feeder Inc. CEO Jim Gibbs attended the Mobiliti summit in Pittsburgh, PA last week. The summit was self described as “a collaborative conference designing the future of transportation for everyone, with everyone”. The summit was hosted by the city of Pittsburgh, MCG Platinion/MAYA Design, T.I.P.. CityLAB, and Traffic21. MeterFeeder has collaborated with Traffic21 in the past regarding research into the future of suburban infrastructure and transportation. The goal of the summit was to present mobility providers and employers with the realities of transportation infrastructure, as presented by the communities of Pittsburgh. Guests were teamed up, and given an opportunity to solve real world transportation issues. The teams worked together and came up with plans to make positive changes in 30 days, 60 days, and 90 days. MeterFeeder also attended the Jacksonville Infrastructure Innovation Summit early this month. This summit also focused on future infrastructure, and was hosted in Jacksonville Florida.